HE was more than a cop. SHE was more than a thief. 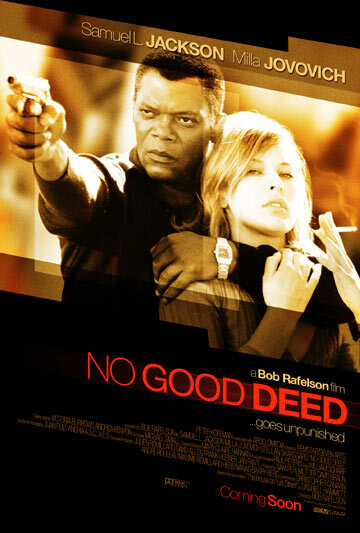 No Good Deed, based on a short story entitled 'The House on Turk Street' by Dashiell Hammett, is about a police detective (Jack) who, while doing a friend a favor and searching for a runaway teenager on Turk Street, stumbles upon a bizarre band of criminals about to pull off a bank robbery. Jack (Samuel L. Jackson) finds himself being held hostage while the criminals decide what to do with him, and the leader's beautiful girlfriend, Erin (Milla Jovovich), is left alone to watch Jack. Erin, who we discover is a master manipulator of the men in the gang, reveals another side to Jack - a melancholy romantic who could have been a classical pianist. She finds Jack's captivity an irresistible turn-on and he can't figure out if she's for real, or manipulating him, too. Before the gang returns, Jack and Erin's connection intensifies and who ends up with the money is anyone's guess. 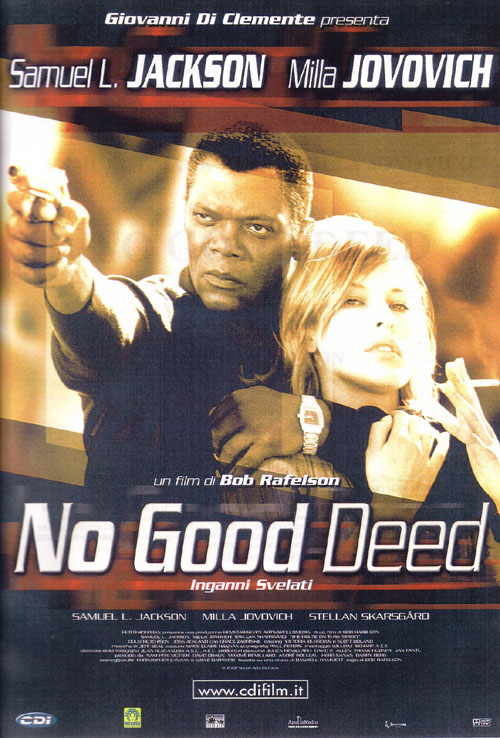 Evidently this film was released overseas before it was seen locally. Bob Rafelson is an excellent screen writer who knows a lot about what is going on in the American cinema. 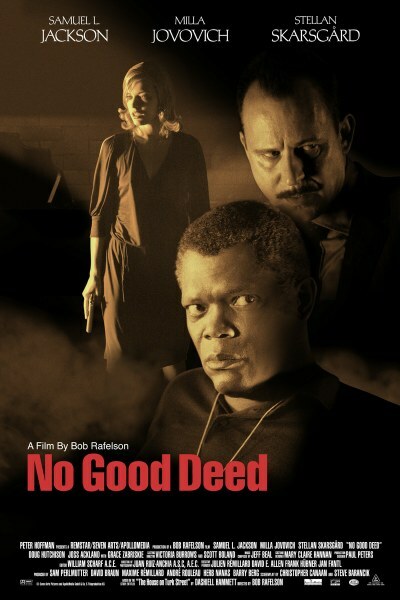 As a director, he doesn't bring anything new to this Dashiell Hammett's short story adaptation. Perhaps he wasn't helped by the screen play of Christopher Canaan. The Hammett story was one of his best ones. The idea of the kind policeman, Jack Friar, trying to investigate something for a neighbor, brings him into a situation that will ensnare him, as he discovers the people in the house are planning a caper and take him prisoner. The acting is interesting in general. 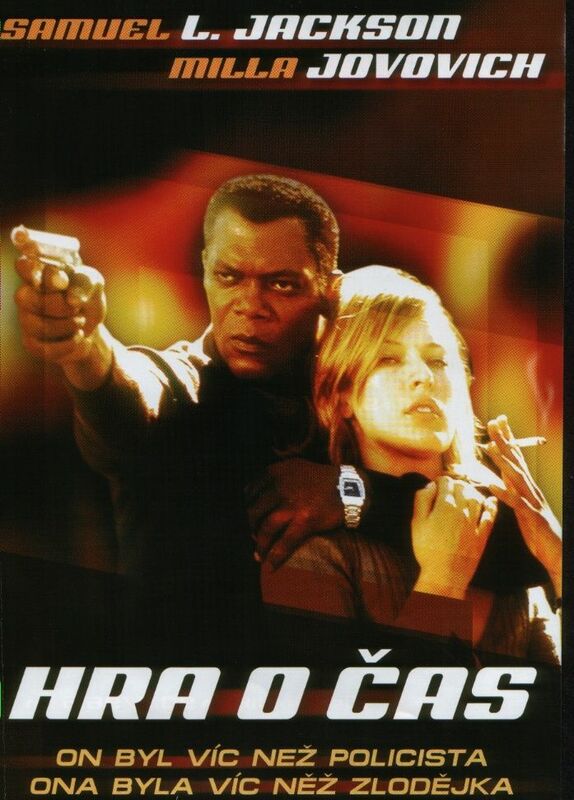 Samuel L. Jackson has to act tied to a chair throughout the movie. His scene with Erin, played with gusto by Milla Jovovich, brings a sensuality to the screen that adds another dimension to the story. Stellan Skargard makes a mean Tyrone. Doug Hutchison is intense as Hoop, Tyrone's partner in crime. Grace Zabriskie and Joss Ackland are seen as the Quarres, a couple that are involved in the robbery. Ms. Zabriskie, an excellent actress, has great moments as the older woman who presents a kind front, but is no good. Joss Ackland, a veteran English stage and screen actor, doesn't have much to do. The film, while predictable, offers some good moments. Bob Rafelson knows how to motivate his actors to give above the average performances.